Boris Karloff once said ,”My dear old monster. I owe him everything. He’s my best friend.” Boris was of course referring to his portrayal of the monster in Frankenstein (1931) which made him famous as an icon of horror cinema. 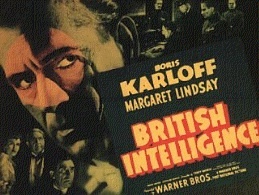 But as a result, I have hardly seen anything of Mr Karloff’s films because I don’t like that genre. 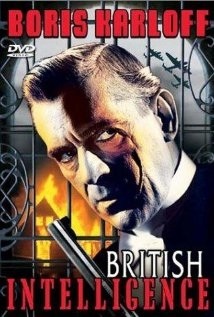 Boris is a German spy whom British Intelligence are desperate to catch during the first World War . He is undercover in London, as a limping French butler in the household of a top British official. Margaret Lindsay is a double agent for the British and we first see her receiving a medal from the German military in Berlin. (I don’t know why Margaret Lindsay wasn’t a bigger star, she was impressive in any film I’ve seen her in.) 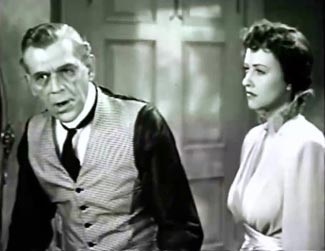 Nice to see her in this,pitting her wits against Karloff. As for Mr.Karloff, I found him compelling. Great Actor. Cant think why he stuck so much to horror movies. (Of course they were very popular). But his acting range called for so much more variety. I’d love to have see him in a Hitchcock film. He made a film in 1937 called Night Key that looks interesting. It seems a shame he didn’t re-create his stage role of ‘Jonathan Brewster’ in the film of Arsenic and Old Lace. I was amazed to read he had made 80 films before Frankenstein in 1931. The film can be seen on You Tube. I am a fan of most of karloff’s work. Horror genre or not. A true pro. Had he acted mainly in non horror films I think it’s safe to say that somewhere along the way he would have snagged an Oscar. He deserved one for The Body Snatcher alone in 1945 and if you can check out his work in The Black Room in 35. Thanks for reminding me of this little B gem. Glad to hear you think Boris could have won an Oscar.